The Refined Geek » Microsoft’s Grab For The Low End Market. Microsoft’s Grab For The Low End Market. Ever since Microsoft and Nokia announced their partnership with (and subsequent acquisition by) Microsoft I had wondered when we’d start seeing a bevy of feature phones that were running the Windows Phone operating system behind the scenes. Sure there’s a lot of cheaper Lumias on the market, like the Lumia 520 can be had for $149 outright, but there isn’t anything in the low end where Nokia has been the undisputed king for decades. That section of the market is now dominated by Nokia’s Asha line of handsets, a curious new operating system that came into being shortly after Nokia canned all development on Symbian and their other alternative mobile platforms. However there’s long been rumours circling that Nokia was developing a low end Android handset to take over this area of the market, predominately due to the rise of cheap Android handsets that were beginning to trickle in. 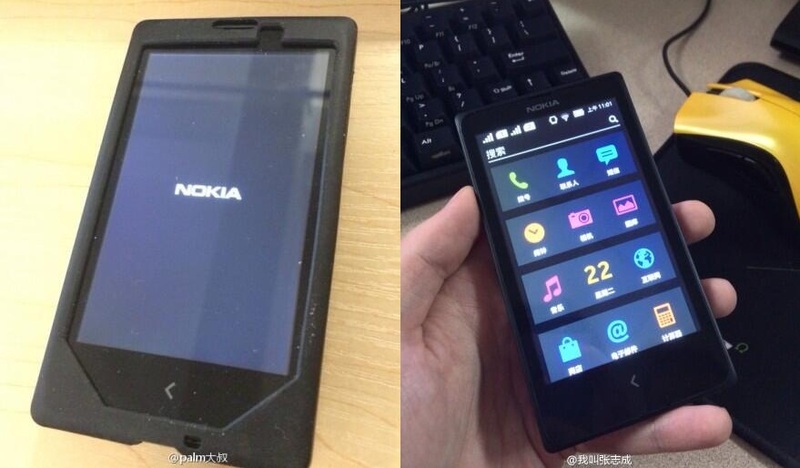 The latest leaks from engineers within Nokia appear to confirm these rumours with the above pictures showcasing a prototype handset developed under the Normandy code name. Details are scant as to what the phone actually consists of but the notification bar in does look distinctly Android with the rest of the UI not bearing any resemblance to anything else on the market currently. This fits in with the rumours that Nokia was looking to fork Android and make its own version of it, much like Amazon did for the Kindle Fire, which would also mean that they’d likely be looking to create their own app store as well. This would be where Microsoft could have its in, pushing Android versions of its Windows Phone applications through its own distribution channel without having to seek Google’s approval. Such a plan almost wholly relies on the fact that Nokia is the trusted name in the low end space, managing to command a sizable chunk of the market even in the face of numerous rivals. Even though Windows Phone has been gaining ground recently in developed markets it’s still been unable to gain much traction in emerging markets. Using Android as a trojan horse to get uses onto their app ecosystem could potentially work however it’s far more likely that those users will simply remain on the new Android platform. Still there would be a non-zero number who would eventually look towards moving upwards in terms of functionality and when it comes to Nokia there’s only one platform to choose from. Of course this all hinges on the idea that Microsoft is actively interested in pursuing this idea and it’s not simply part of the ongoing skunk works of Nokia employees. That being said Microsoft already makes a large chunk of change from every Android phone sold thanks to its licensing arrangements with numerous vendors so they would have a slight edge in creating a low end Android handset. Whether they eventually use that to try and leverage users onto the Windows Phone platform though will be something that we’ll have to wait to see as I can imagine it’ll be a long time before an actual device sees the light of day.